Nine entrepreneurs will pitch their ideas directly to Richard Branson this month and three will walk away with a prize package worth £1 million. The lucky nine, who are all from the U.K., were voted by the public into the penultimate round of the Virgin Media Business "Pitch to Rich" contest. "We set out to find great business ideas with the potential to disrupt a market," said Branson in a statement. "The people that make a difference are the ones that have the courage to overcome obstacles in order to turn an idea into a successful business." The finalists, culled from 2,500 entrants, will present to Branson and a panel of judges in London on June 26. The contest, which is in its third year, divided the nine finalists into three groups: "Startup," for new business with huge potential; "New Things," for disruptive ideas that aren't yet established businesses; and "Grow," for existing businesses primed for rapid expansion. The judges will pick a winner from each of the three categories. 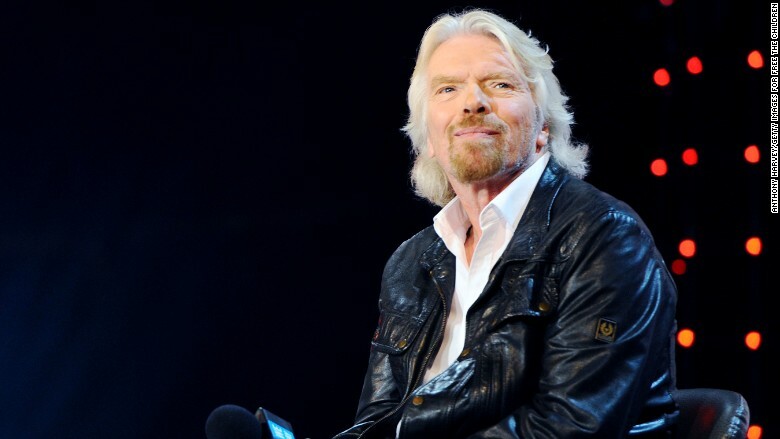 The three winners will receive marketing, PR and business development from Virgin Media Business for a year, and some mentoring opportunities from Branson -- a prize package Virgin values at £1 million total. Kino-Mo's advertising and media technology aims to make holograms affordable. Its technology makes 3D graphics appear to float in mid-air. Hegarty Maths' online learning platform gives disadvantaged children access to math tutoring. Cauli Rice has developed a long-life, ready-to-heat cauliflower rice, which is a low-carb replacement to rice, bread and pasta and has 75% fewer calories. Fourex's self-service machines exchange both coins and bills from almost any country in the world for pounds, euros or dollars. The Skunkworks Surfboard Company has developed environmentally-friendly soft surfboards and stand-up paddleboards. Sendy is a parcel delivery app that finds people near you who are traveling to the places you need delivery, making it cheaper and faster to send a package. Aduna's health and beauty brand makes energy bars and powder supplements from the African Baobab fruit. It estimates that the Baobab could be worth $1 billion to rural Africa. Approved Food is an online grocer specializing in perishable products that are nearing or past their "best-before-date." Just Park connects drivers with more than 150,000 parking spaces that belong to property owners looking to make money from their unused spaces.